After seven seasons as a Mod for this amazing board, I'm stepping down effective 2/15. Y'all have been the best part about this whole thing. I've been able to meet a few of you face to face, and there's a few more I'd love to meet sometime in the future, but regardless, it's been a blast. 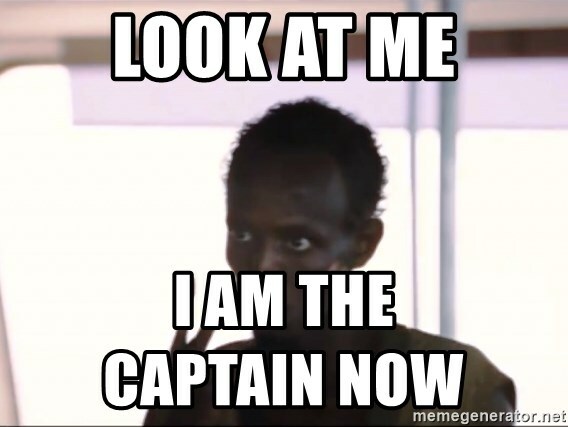 With a wife, a 9 year old and 3 teenagers, and some increasing responsibility at work, I don't anticipate having the time to adequately serve, and it just feels like it's time for a change. I want to thank Chicken and crew for the opportunity, and Bellabama for recommending me in the first place. Thanks to Alahunter and Summer of George for being great partners at different times. Tuck was also a Mod for a while but he stole the entry fees for the SECR Fantasy Football league and dropped off the face of the earth, so frick him. Tuck, if you're reading this, just know I hope you have genital warts and dandruff and I hope you have to pay full price on everything you ever buy. Again, thanks to all (well, most) of you for making this fun. I got way more from this board than I ever gave. I have made a recommendation to Chicken for my replacement, so we'll wait and see if that comes to fruition. There's also a shadow mod who's been at work lately, but he will remain anonymous for now. I'll still be around from time to time, but a lot less for sure. All the best to all of you. Peace. Thanks Flesh. Appreciate your efforts! Don’t be a stranger. Thanks for all you have done..... you had the patience of Job until it was time not to on some posters and I applaud your efforts . Appreciate what you have done! Thank you Flesh, have a good one! Please don’t let it be Powhound. I like being able to post. Thank you for your contributions! God speed brother. It’s been a pleasure and hopefully you continue coming by this house! a tip-o-the-hat to ya! best wishes! Also, FYI, I'm not doing and modding anymore either. I'm sure the new mods will be introduced (or stay anonymous) shortly.